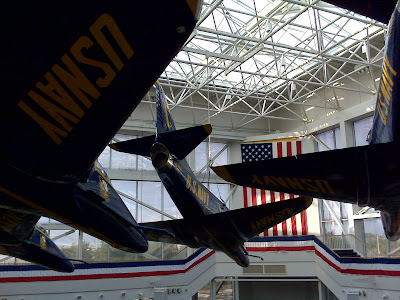 Visit to the National Naval Aviation Museum in Pensacola today. Gives me a better appreciation of the Navy and military as a whole and helped me understand more of our military history. More about the trip once I get home. Curiosity would definitely lead me into the Navy Shopping Mall. Wonder if they sell military secrets there... Or maybe I could just buy a new boat.